The TeleZapper TZ 900 is designed to block all unwanted calls from telemarketers, solicitors, credit card companies, political calls or any other type of unwanted callers. This device is capable of deciphering between wanted and unwanted calls allowing the customer to receive the calls they want to receive. 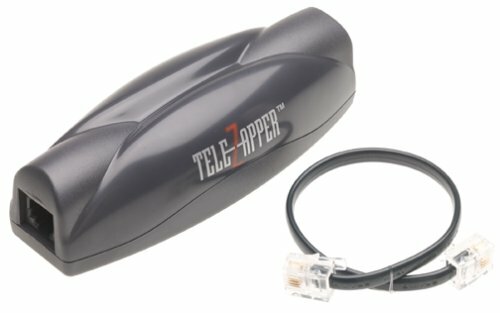 When an unwanted call is received the TeleZapper TZ 900 it works by emitting a special tone that removes your telephone number from computer generated calls. Due to the fact that 90% of telemarketer calls are assisted by computers this device is effective in the fact that it can recognize computer assisted calls. This device is fairly small allowing users to easily hide the device if wanted. This device also has a three tone setting that can be easily changed by taking the back off of the device and sliding the slide to a different setting. Ships with built in battery. Fairly small device easily hide-able, and fairly cost efficient compared to other devices in its field. All phones a machines work on the same line. The ability to recognize computer assisted calls allows for this device to be effective in blocking spam numbers. This device beeps every time an unwanted call is recorded. No screen or anyway to interact with the device itself. Some customers have reported that this device has been “zapping” wanted calls. Other customer reports that this device did little or nothing to stop unwanted calls. The TeleZapper TZ 900 is designed to be an effective call blocker, although this device may not be as effective as its other competitors. To begin with this device is very small and has no way for customers to interact with the device. The tone it emits is a nuisance that really ignores that original intention of the device. If a customer purchases a call blocker to never hear spam calls there is no reason for this device to create a tone. This device is capable of deciphering between computer assisted calls and normal human calls, allowing for an effective Although this device is very cost efficient compared to its competitors, its a very discrete device that may be a very successful product who is just looking for a cheap easy way to block calls. 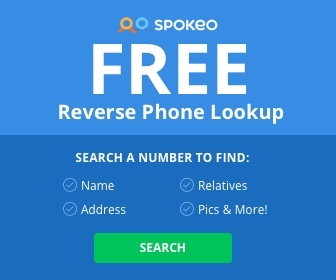 The TeleZapper is recommended for individuals who aren’t looking to spend a lot of money on a call blocker and want to rid their phone of spam calls. If you’re looking for a higher rated call blocker, we recommend taking a look at the Sentry Call Blocker (a best seller on Amazon).